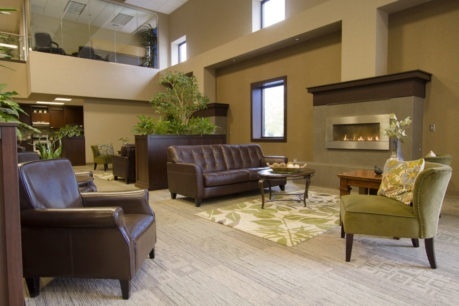 Conveniently located in Tacoma, Washington, just south of Seattle and SeaTac International Airport, Continuant occupies a modern and spacious—130,000 square foot—building with large kitchens, fireplaces, lounges and fitness areas. We believe the key to success lies in education and training of employees. Continuant offers ongoing training and development opportunities in our state-of-the-art training facilities. Recognizing the importance of overall health and wellness, Continuant offers on-site massage therapy and a fitness area complete with locker rooms. Our Wellness Program includes access to an on-site nutrition counselor, chiropractor, and naturopath. We build long-lasting partnerships and collaborate with our customers to identify their and address unique needs. Our service desk model promotes streamlined communication among employees. We provide the most advanced technology to our customers.